1609 NE 18th Avenue Fort Lauderdale, FL 33305 4 bedrooms | 3 & half bathrooms | 2,621 square feet $989,000.00 Recently constructed dramatic 2850+ sq. 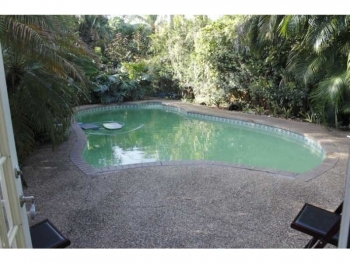 ft. custom built 4 bedroom 3 1/2 bath pool home all on one floor. Located on one of the nicest streets in Poinsettia Heights. 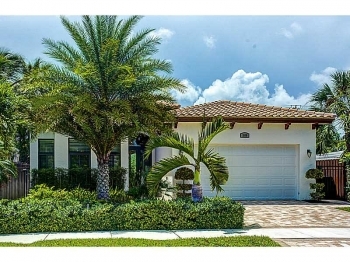 This is one of the nicest Fort Lauderdale luxury homes for sale within this price range. Soaring 13+ ft ceilings in all living areas and master bedroom/bath 8 ft solid int. doors Beautiful, bright open floor plan with impact doors/windows. Gourmet kitchen with stone counters and custom baths. Many high end finishes, salt water heated pool with lush landscaping 2 car garage his magnificent home is a must see Dimensions are approximate. Contact Fort Lauderdale real estate agent Keith Hasting by calling 305.778.0244 or email kjhasting305@gmail.com today. Fort Lauderdale waterfront luxury home for sale 3 bedrooms | 3 and half bathrooms | 3,899 square feet Ocean Acess | List price $1,130,000.00 Canal front unique home in the prestigious lake Santa Barbra area. Private boat dock a few feet from lake Santa Barbra and 4 blocks away from ICW Spectacular swimming pool, patio including cabana bath an big spa tub and a tiki hut bar as well as a outdoor kitchen/grill wolf/refrigerator. Gourmet kitchen with the best top of the line appliances Spacious master bedroom and bath, including a steam room, tv in the spa tub and 120 inch home theater . Commercial gym, stone and marble floors. Please contact Fort Lauderdale luxury real estate specialist Keith Hasting by calling 305.778.0244 or email kjhasting305@gmail.com and schedule a viewing today. 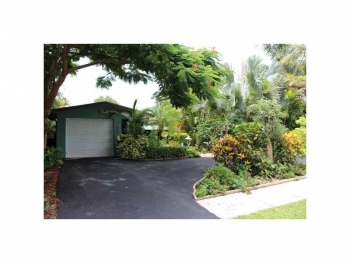 Wilton Manors vacation rental 3 bedrooms | 2 bathrooms Lush tropical yard and swimming pool $2,500.00 a week If you are seeking a weekly vacation rental in the Wilton Manors real estate market this is it. With this homes 3 bedrooms and 2 bathrooms and open floor plan that opens up to a tropical landscaped yard and heated swimming pool. Please contact Wilton Manors real estate agent Keith Hasting by calling 305.778.0244 or email kjhasting305@gmail.com for a viewing. 28 Pelican Isle Fort Lauderdale, FL 33301 6 bedrooms | 7 bathrooms Waterfront | Ocean Access This home is simply remarkable and breathtaking as its modern design and exquisite finishes are top notch. With 6 bedrooms and 7 bathrooms and a open floor plan that opens up to a pool and amazing yard. If you are shopping for a home in the Fort Lauderdale luxury real estate market this home is a must see. 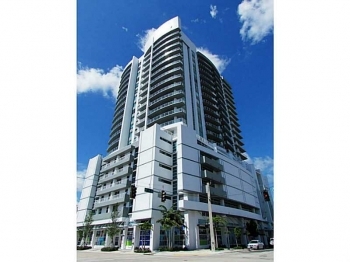 Contact Fort Lauderdale realtor Keith Hasting by calling 305.778.0244 or email kjhasting305@gmail.com today. Client Testomonial from past home buyer mandi q k reviewed Keith Hasting 07/29/2015 Helped me buy a home Keith was very motivated, he showed me multiple properties & he was very informative. When it came download to negotiations, he was very good at keeping the price down which helped very much. I purchased & sold numerous properties in the past & I could honestly say that he was the best real estate agent I have ever worked with & the transaction was the easiest deal I have dealt with. It was truly a pleasure working with him. Thank u Keith. 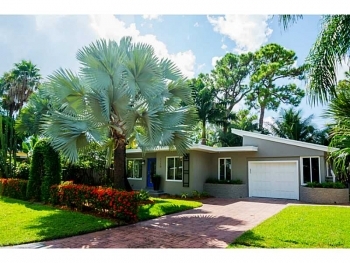 Coral Point neighborhood market update Wilton Manors homes for sale The Coral Point neighborhood is always a popular choice with home buyers in the Wilton Manors real estate market. 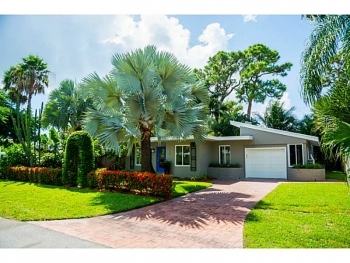 Here is the most recent sold homes since August 1st, 2015: Address- 2124 NE 24th Avenue, Wilton Manors, 33305 | 3 bedrooms 3 bathrooms | List price $689,000.00 | Sold Price $675,000.00 Address- 2309 NE 20th Avenue, Wilton Manors, 33305 | 3 bedrooms 2 bathrooms | List price $595,000.00 | Sold price $575,000.00 Address NE 24th Street, Wilton Manors, 33305 | 3 bedrooms 2 bathrooms | List price $569,000.00 | Sold price $550,000.00 If you are looking to sell or buy in Coral Point please call Wilton Manors realtor Keith Hasting for a free no obligation appointment today at 305.778.0244 or email kjhasting305@gmail.com and see how he can assist you.